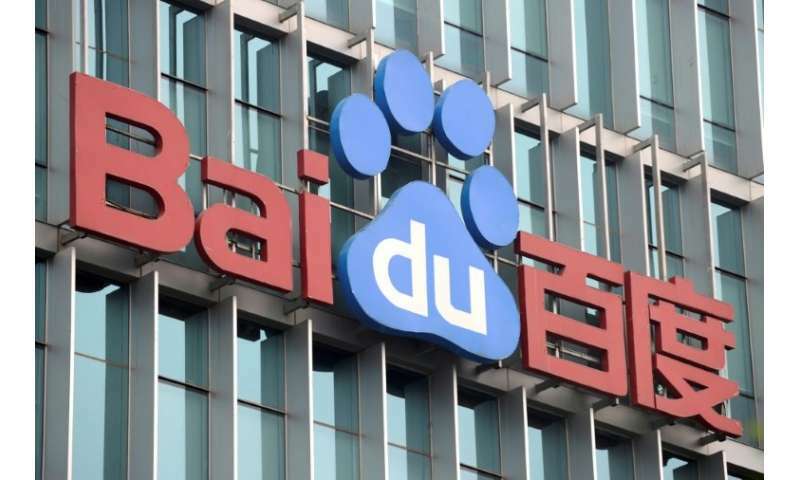 China search engine giant Baidu on Friday reported net profit nearly tripled in the first quarter after spinning off its video unit as part of a corporate reorientation toward artificial intelligence (AI). The Beijing-based company said net income for January-March soared 277 percent to 6.7 billion yuan ($1.1 billion). "We had a strong start in 2018, with our core business exhibiting robust growth, and we continue to execute on our strategy to strengthen Baidu's mobile foundation and lead in AI," said Robin Li, chairman and chief executive of Baidu. "I would also like to congratulate iQiYi on a successful IPO and hope to incubate more businesses with large market opportunities and strong synergies with Baidu." Baidu spun off iQiYi in the first quarter and the video unit listed on Nasdaq in New York at the end of March, raising $2.25 billion through the initial public offering. Baidu is trying to reposition itself from a heavy reliance on the search-engine business towards technologies used in AI, which China's government wants the country to become a leader in. It disposed of a food-delivery unit last year and is also planning to sell a majority stake in its financial services arm, which it said has total assets of 47 billion yuan. "We have never been more focused than we have in the past year, by scaling down or exiting non-core businesses and doubling down on investments in AI-powered businesses to generate significant long-term return to our shareholders," the statement quoted Chief Financial Officer Herman Yu as saying. Baidu is investing heavily in AI-related business from autonomous driving to facial recognition. It has secured licences to conduct open-road tests for autonomous vehicles in three regions in China including Beijing and it is also working with traditional automakers such as Great Wall Motor and BYD.